Little ones are drawn to certain toys. A item that is soft and cuddly can be an instant favorite. 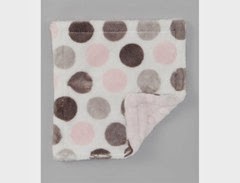 Whether holding it in her hand or rubbing it, a soft blankey can be a constant companion. Parents know that babies crave sensory stimulation too. Offering toys that are both developmental and fun can a must have item for any family. The Bebe Bella Designs Crinkle Toy will must have for any parent. 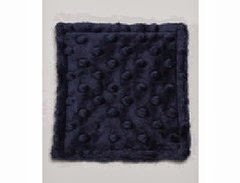 The Bebe Bella Designs Crinkle Toy is a perfect balance between comfort and stimulation. The toy is made from super soft, minky chenille. The material is wonderful for little hands to cuddle and hold close. Sandwiched between the chenille is a crinkle material. When grasped, twisted, and moved the toy makes a fun crinkly sound. Children will enjoy folding, shaking and grabbing the toy to create a variety of sounds. The Bebe Bella Designs Crinkle Toy is perfect for strollers, car rides or tummy time. It provides a great balance between sensory play and comfort. This toy retails for $12 on the Bebe Bella website. Right now, Bebe Bella Designs is offering a crinkly toy giveaway. Now through March 31, or while supplies last, everyone can receive a FREE Crinkle Toy. Shipping and handling rates do apply. Limit one crinkle per household. To receive your free crinkle toy, enter the code CRINKLEBLOG at checkout, in the discount code area. 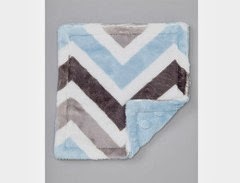 Bebe Bella Designs offers numerous blankets, baby items and bedding. For a complete list of all the items that they offer, please visit http://bebebelladesigns.com.